Dotty Bingo | 10 FREE Spins to play Game of Thrones Slot! Lord Bingo Gaming Industry Dotty Bingo features NEW Game of Thrones Online Slot! Dotty Bingo features NEW Game of Thrones Online Slot! Dotty Bingo is breaking through bingo barriers on many levels this month. To begin with, they have an incredible welcome bonus package available which rewards players with £25 for FREE after they deposit their first tenner. Additionally, players get 10 FREE spins to use as they please on any number of slots on Dotty's site. Be that as it may, players would do well to take advantage of these free spins on the brand new Game of Thrones online slot that was just unveiled at Dotty Bingo. As covered in Lord Bingo's recent blog post, the Game of Thrones slot is a long awaited slot based on the hit TV series of the same name. The game is based on the early fantasy novel series by George R.R. Martin's entitled “A Son of Ice and Fire”. The slot is centered around the legendary battle for the Iron Throne. In addition to incredible in-game graphics, the slot also features fantastic animated sequences that whisk players off to the mystical realms of Game of Thrones. 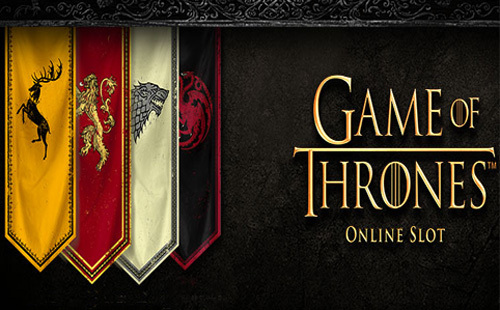 The Game of Thrones Slot features 243 ways to win and a fantastic 15 paylines. There is also a fantastic free spins bonus game embedded in the slot. Head on over to Dotty Bingo now and be the first to sample the game with your 10 FREE Spins and £25 Welcome Bonus!